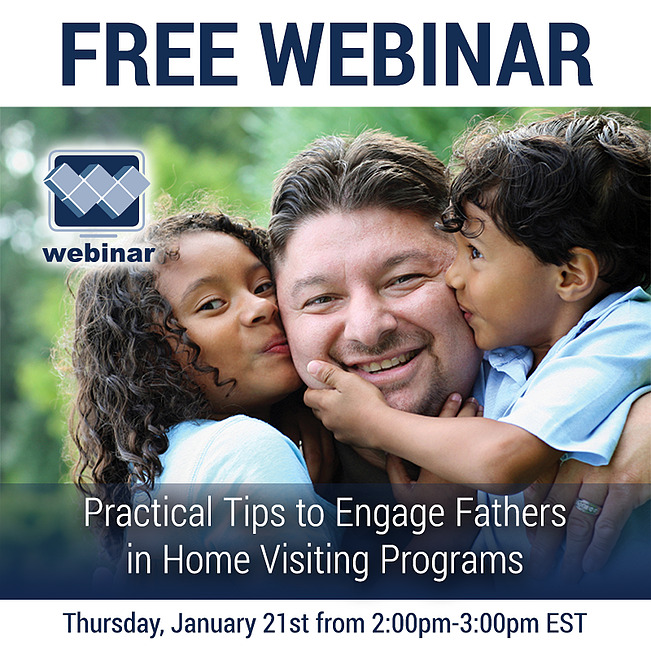 This is it...your last chance to join the over 1,100 registrants (so far) for the upcoming, and free, webinar to help you learn practical tips to engage fathers in home visiting programs. During this free webinar, you will learn about fatherhood intervention strategies that can be used in both home visiting and center-based programs. You will also have opportunities to apply intervention strategies to your setting. Did I mention it's free? Register for this free and helpful webinar today by clicking here. What > Free Webinar on "Practical Tips to Engage Fathers in Home Visiting Programs"
Where & How > It's online and it's free. Just click here to register!